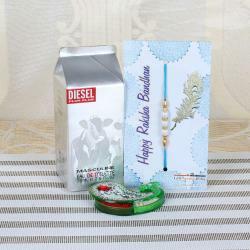 Cheer the occasion of Raksha Bandhan with this special pack which has a designer Rakhi along with roli chawal container and pack of Kaju katli and 3 bars of Bourneville chocolates. 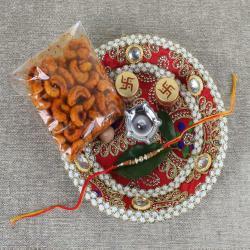 Celebrate the eve by tying this beautiful designer Rakhi on the wrist of your loving brother and gift this amazing pack to him as a token of your love. The look of the combo is very classy which spiritual. 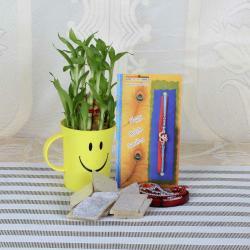 It has a essence of love and care hidden in it which will be felt by the dear ones. 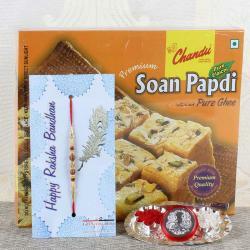 Celebrate Rakhi with this pack and make some wonderful mesmerizing memories. 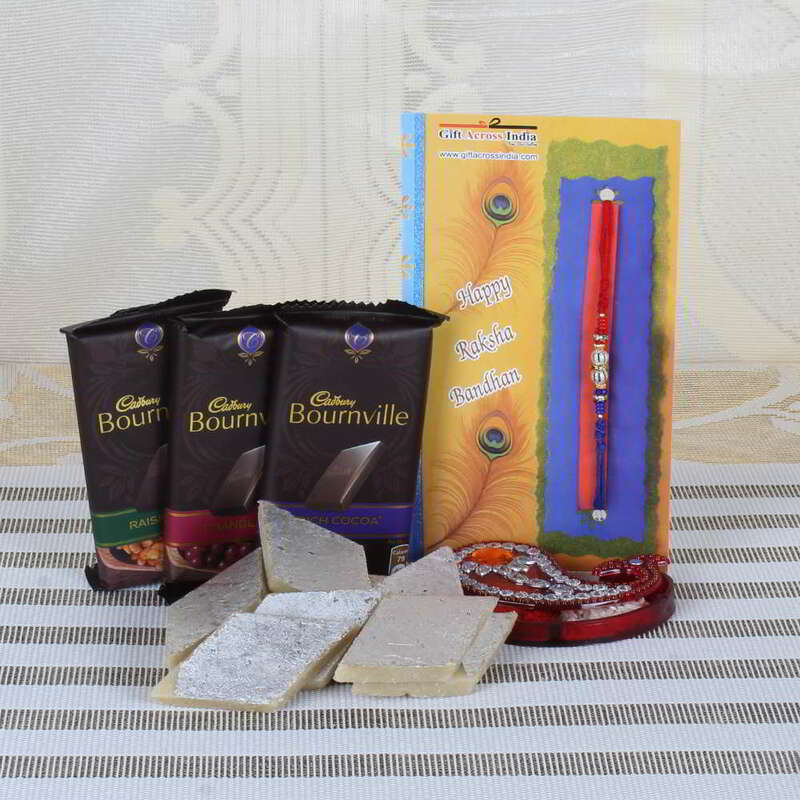 Product Consist: Kaju Katli (Weight: 200 gms), 3 Bars of Bourneville Chocolate (Weight : 31 Gms Each ) and Designer Rakhi along with Roli Chawal.